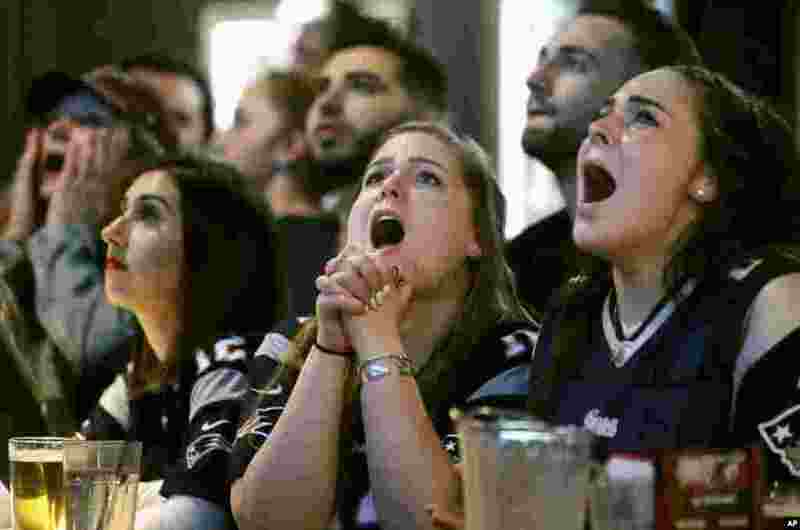 5 Kathleen Doherty, center, of Woburn, Mass., reacts with other fans at a Boston bar while watching the New England Patriots' final drive during the first half of the NFL Super Bowl 52 football game between the Patriots and the Philadelphia Eagles in Minneapolis, Minnesota, Feb. 4, 2018. 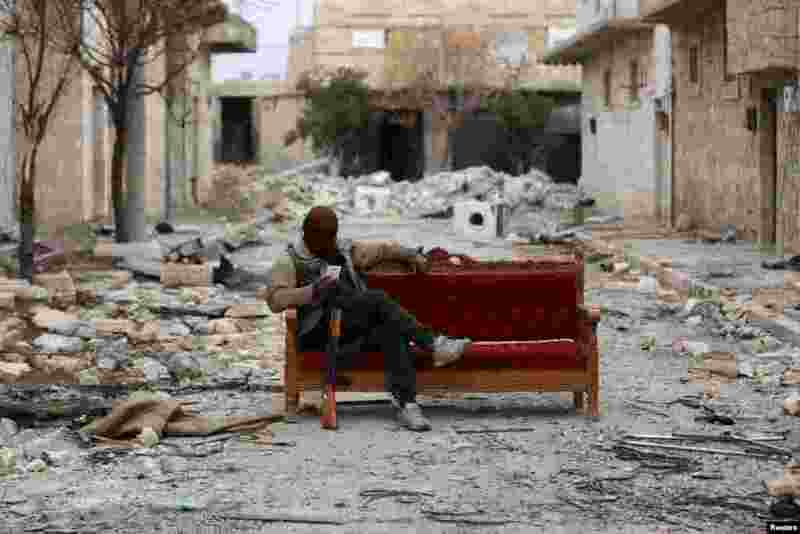 6 A Turkey-backed Free Syrian Army fighter is seen in the eastern suburbs of al Bab, Syria, Feb. 4, 2018. 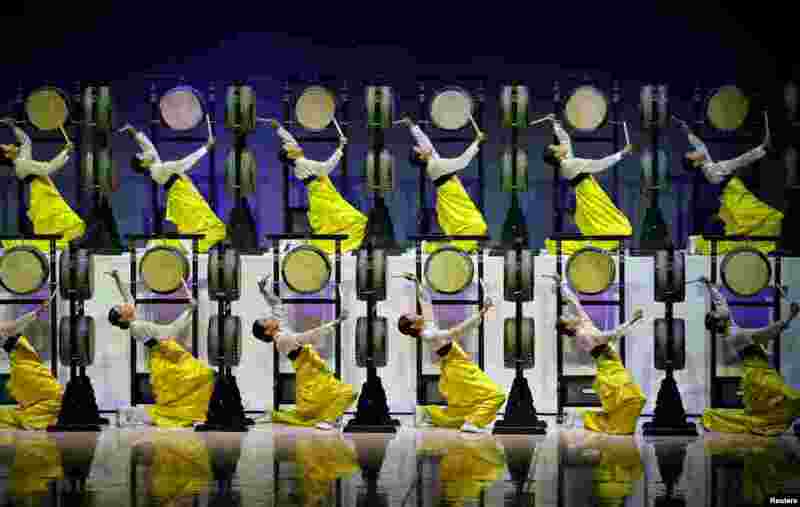 7 Artists perform during the 132nd IOC Session ahead of the 2018 Winter Olympic Games in Gangneung, South Korea. 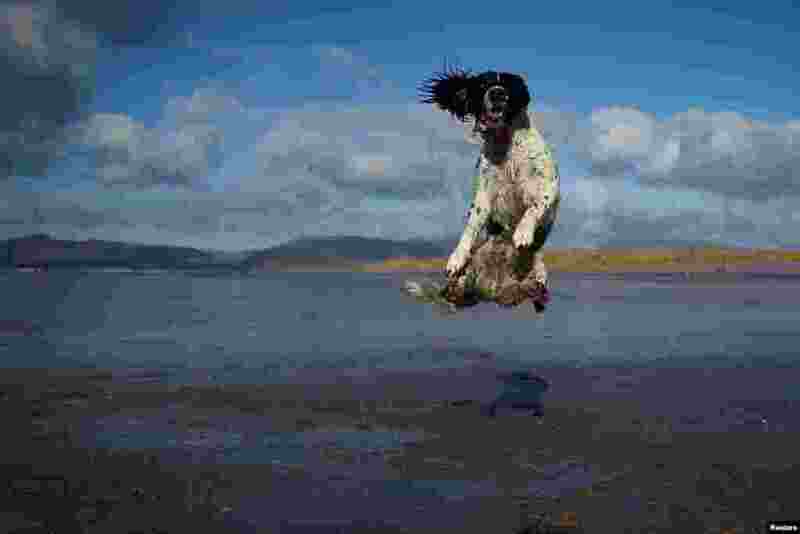 8 A dog jumps to catch a ball along the beach near the County Kerry village of Rossbeigh, Ireland, Feb. 4, 2018.